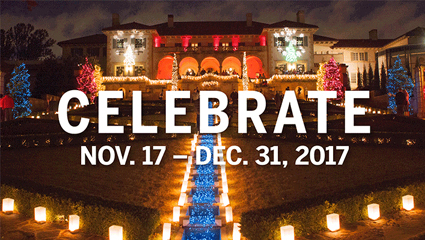 Philbrook Festival runs November 23 through December 31, 2018. The [Philbrook. Ed] Museum comes alive with holiday events, visits from Santa, train rides, Lego Village, garden games, live music, shopping, décor, and thousands of lights in the gardens reflecting the spirit of the season. Gather the whole family for unforgettable experiences.